Will the Latest WikiLeaks Leak Go Too Far? Yes. It's Careless. 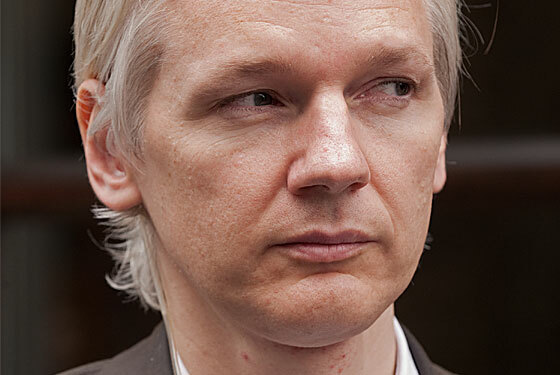 When WikiLeaks first appeared, I was a fan of their mission, "in exposing oppressive regimes in Asia, the former Soviet bloc, Sub-Saharan Africa and the Middle East, but we also expect to be of assistance to people of all regions who wish to reveal unethical behavior in their governments and corporations." Of course, exposing oppressive regimes is wonderful. And even exposing non-oppressive regimes, like the United States, when they step far outside their bounds is fair game too. But recently it seems WikiLeaks is making it their mission to damage the United States, and consequently, other non-oppressive governments, in any way it can. And for what? This next batch of documents is intended to expose the US's line of communication between it's own embassies and it's allies. It is revealing how deals are done and how world leaders interact behind the scenes, and what they think about currently sensitive political issues, such as Pakistan's nuclear arsenal and North Korea. It's pretty damn revealing. What's the point of this exposure? How is this tied to the mission of WikiLeaks? This just seems like Julian Assange's massive ego at work. What could possibly become of this besides making people more suspect of the US or forcing governments to rethink how they conduct business with each other and how they approach oppressive regimes - which seems counter to WikiLeaks mission now doesn't it?